The Colonel Richardson in my novel is based on Colonel Edwin Richardson, who in 1917 set up the War Dog School. 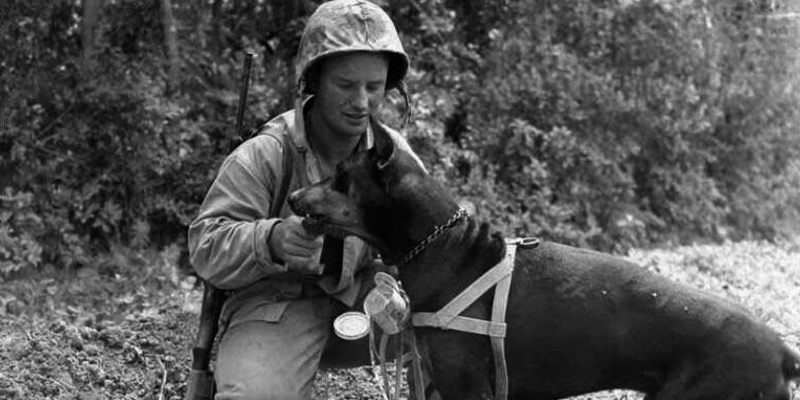 Richardson was a gentle and charming man, whose repeated efforts to get the War Office to use dogs instead of human runners were constantly rebuffed. The Colonel Richardson in my novel is based on Colonel Edwin Richardson, who in 1917 set up the War Dog School. Richardson was a gentle and charming man, whose repeated efforts to get the War Office to use dogs instead of human runners were constantly rebuffed. During the first years of the war, Richardson was forced to stand by and watch as the casualty lists amongst human runners grew. As the war on the Western Front became increasingly static and trench-based, telephone and wireless communication broke down more frequently, meaning that human runners were called upon to vital messages, facing almost certain death. Casualty lists amongst them rose to horrifying levels. Richardson knew that a dog could do the same job as a man, could save the lives of these men, yet still the War Office rebuffed him. Read more from Sam Angus’ Messenger Dog research here.